I recently completed my genetic counseling training at the University of Michigan, during which I became interested in care of pregnancy and focused my education, clinical, and research experience around prenatal genetics. 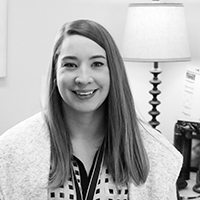 I am very excited to have joined the PANM team, where I can pursue rewarding work helping pregnant women and couples choose the right genetic screening and testing path for them based on individual information and emotional needs. I enjoy learning about patients’ stories in order to provide personalized, compassionate care. My extracurricular interests include hanging out with dogs, design, and playing violin in community orchestra.